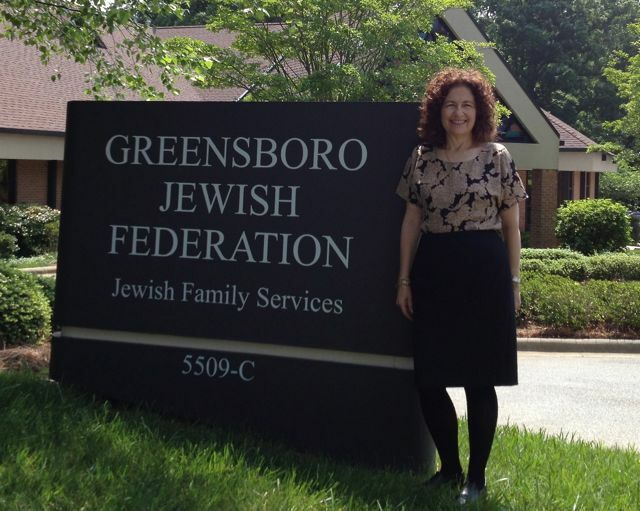 Julie Kohner, founder of Voices of the Generations, was the guest speaker at the Greensboro Jewish Federation Women’s Philanthropy Committee end of the year lunchen on May 21, 2013. Thanks to everyone for making the visit so special! 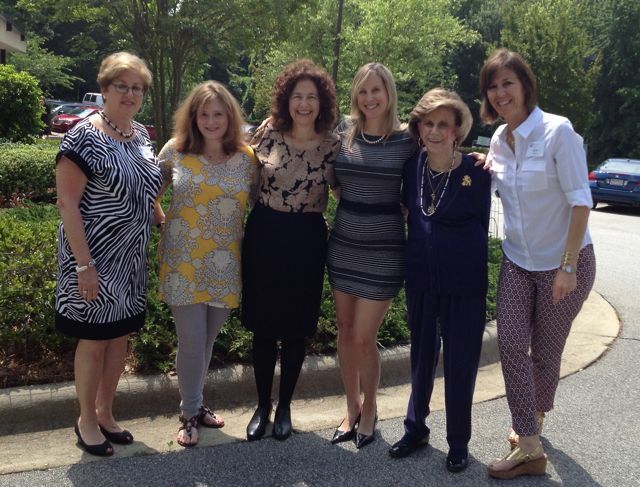 Julie Kohner and Members of the Greensboro Jewish Federation Women’s Philanthropy Committee. 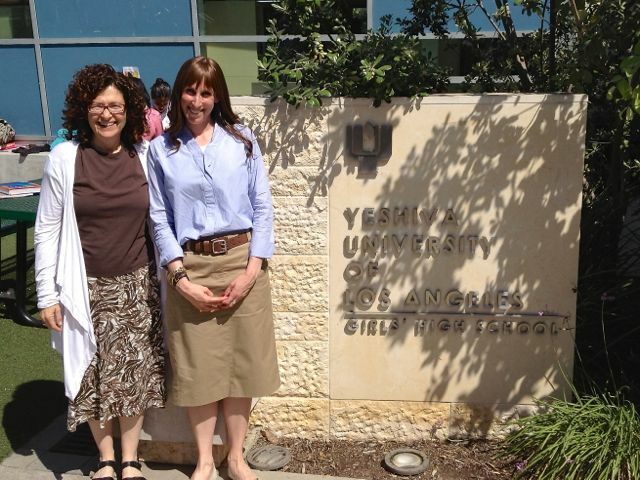 The Yeshiva University of Los Angeles (YULA) Girls High School was recently visited by Julie Kohner, founder of Voices of the Generations, on May 2, 2013. Julie spoke to the entire school in attendance. Some of the students had just returned from a YULA sponsored trip to Poland, which included a visit to Auschwitz. While on their trip, some of students were reading Hanna & Walter, A Love Story, which documented Hanna Kohner’s experiences at the concentration camps, including Auschwitz. Julie Kohner and Yula students at a Voices of the Generations presentation. 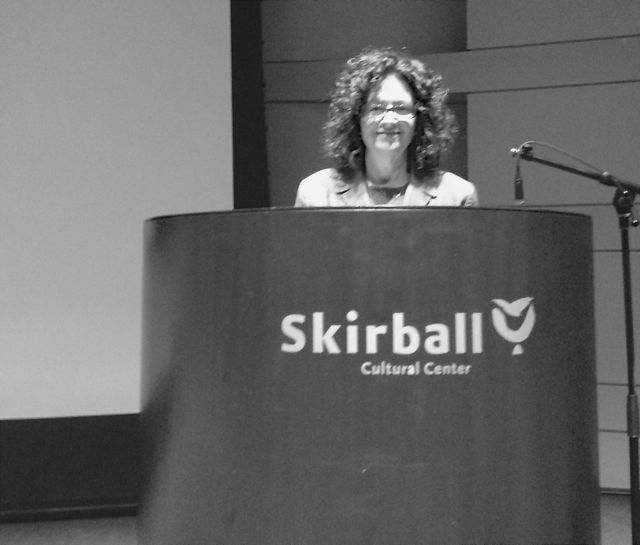 The Skirball Cultural Center in Los Angeles recently hosted Julie Kohner and Voices of the Generations for a program on April 29, 2013. The program was for the Skirball Docent Corps and staff, with about 50 in attendance. Many of the docents and staff felt they learned a new dimension of the story of the Holocaust as Julie shows how Americans first learned of the horrors on popular television. It is important to continue sharing these insights into the understanding of Holocaust awareness and education in America.